Apple iPad, Underwhelmed? Will you buy one? The Apple tablet for the masses is here and it’s called the Apple iPad. I’m sure Apple conducted hours of user research & feedback to decide on the name iPad. Right? I really liked the idea of the tablet being called Canvas though. So what are my initial thoughts? When will the iPad Pro be announced? You know, the grown up version capable of running professional software like Photoshop? The truth of the matter is that I will somehow convince myself to buy one. An ideal device for the coffee table, beside your bed, on the toilet (having the iPhone has changed the way I poop), or while travelling. What do you think, will you buy one? Will the first iPad usher in a new era of power tablets to be released by Apple over the next 10 years? Or will Apple keep the iPad line focused on entertainment with no real plans to offer a full OS version? 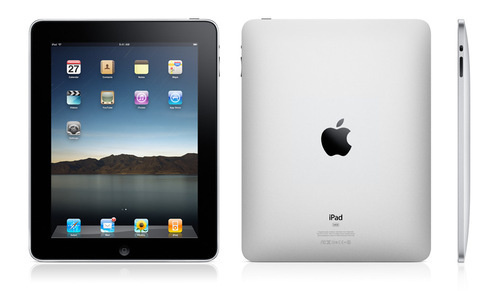 To find out more about the iPad, check out this exhaustive post on Gizmodo: Apple iPad: Everything you need to know.